Here is Youth Charity Youth Unlimited North York’s plan to build world’s largest QR code. 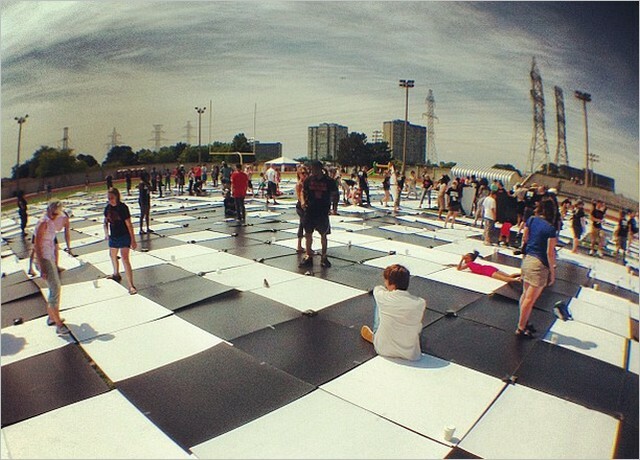 It consists of 1,369 black and white 4 foot squares, which were laid out in the Esther Shiner Stadium by volunteers and formed into a QR Code. The QR code resolves to http://goo.by/wxF7kt/theqrcode-ca. Watch some videos below.